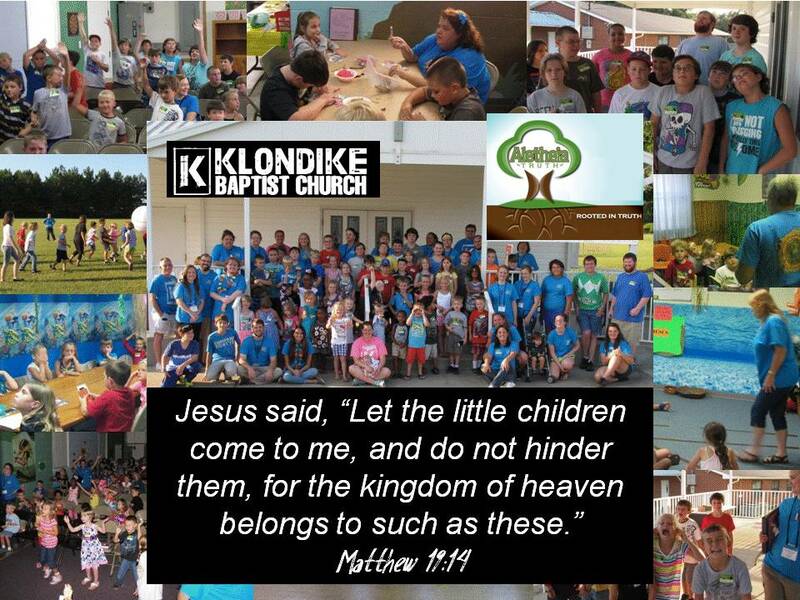 Klondike has an exciting Children’s Ministry for our kids each Wednesday night, Sunday School Classes and Bible Studies each Sunday morning, and special events throughout the year. The Aletheia (Truth) K4-5th Grade from 6-7:30 each Wednesday. ROCK (Relying on Christ The King) Jr. & Sr High Youth Group (7th-12th grade) from 6-7:30 each Wednesday under the leadership of Brother Stewart Kirksey and the youth leaders team. During the summer, we have VACATION BIBLE SCHOOL, and Summer Youth Group each Wednesday night from 6:30-7:30. All are welcome to these events as well.